This open access book surveys the frontier of scientific river research and provides examples to guide management towards a sustainable future of riverine ecosystems. Principal structures and functions of the biogeosphere of rivers are explained; key threats are identified, and effective solutions for restoration and mitigation are provided. Rivers are among the most threatened ecosystems of the world. They increasingly suffer from pollution, water abstraction, river channelisation and damming. Fundamental knowledge of ecosystem structure and function is necessary to understand how human acitivities interfere with natural processes and which interventions are feasible to rectify this. Modern water legislation strives for sustainable water resource management and protection of important habitats and species. However, decision makers would benefit from more profound understanding of ecosystem degradation processes and of innovative methodologies and tools for efficient mitigation and restoration. The book provides best-practice examples of sustainable river management from on-site studies, European-wide analyses and case studies from other parts of the world. This book will be of interest to researchers in the field of aquatic ecology, river system functioning, conservation and restoration, to postgraduate students, to institutions involved in water management, and to water related industries. Illustrations note 20 Tables, color; 82 Illustrations, color; 41 Illustrations, black and white; VII, 571 p. 123 illus., 82 illus. in color. Chapter 1. Challenges in Riverine Ecosystem Management.- Part I Human Impacts, Mitigation and Restoration.- Chapter 2. Historic Milestones of Human River Uses and Ecological Impacts.- Chapter 3. River Morphology, Channelization, and Habitat Restoration.- Chapter 4. River Hydrology, Flow Alteration, and Environmental Flow.- Chapter 5. Hydropeaking Impacts and Mitigation.- Chapter 6. Dams: Ecological Impacts and Management.- Chapter 7. Aquatic Habitat Modeling in Running Waters.- Chapter 8. The Role of Sediment and Sediment Dynamics in the Aquatic Environment.- Chapter 9. River Connectivity, Habitat Fragmentation and Related Restoration Meas.- Chapter 10. Phosphorus and Nitrogen Dynamics in Riverine Systems: Human Impacts and Management Options.- Chapter 11. Climate Change Impacts in Riverine Ecosystems.- Chapter 12. Ecotoxicology.- Chapter 13. Land Use.- Chapter 14. Recreational Fisheries - The Need for Sustainability in Fisheries Management of Alpine Rivers.- Part II Management, Methodologies, Governance.- Chapter 15. Restoration in Integrated River Basin Management.- Chapter 16.Adaptive Management of Riverine Socio-ecological Systems.- Chapter 17. Legislative Framework for River Ecosystem Management on International and European Level.- Chapter 18. Ensuring Long-Term Cooperation Over Transboundary Water Resources Through Joint River Basin Management.- Chapter 19. Biomonitoring and Bioassessment.- Chapter 20. Biodiversity and Freshwater Information Systems.- Chapter 21. Ecosystem Services in River Landscapes.- Chapter 22. Public Participation and Environmental Education.- Chapter 23. NGOs in Freshwater Resource Management.- Part III Case Studies.- Chapter 24. Danube Under Pressure: Hydropower Rules the Fish.- Chapter 25. Danube Floodplain Lobau.- Chapter 26. Danube Sturgeons: Past and Future.- Chapter 27. Healthy Fisheries Sustain Society and Ecology in Burkina Faso.- Chapter 28. The Tisza River: Managing a Lowland River in the Carpathian Basin.- Part IV Summary.- Chapter 29. 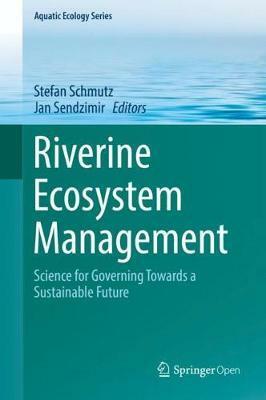 Landmarks, Advances and Future Challenges in Riverine Ecosystem Management.